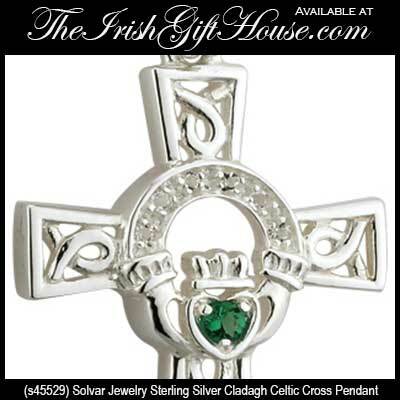 Sterling silver Celtic cross necklaces from Ireland are sure to please the most discriminating tastes. 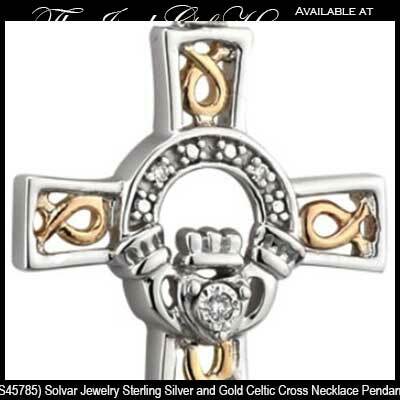 This assortment of silver Celtic crosses are in sizes and styles for women. 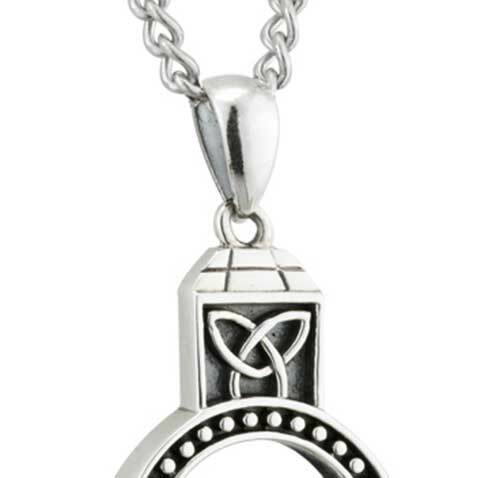 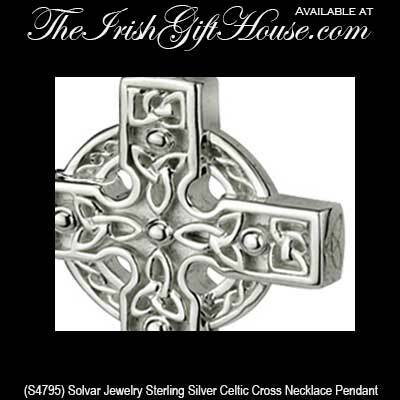 Select from almost 50 different Celtic cross necklaces that are cast in sterling silver. 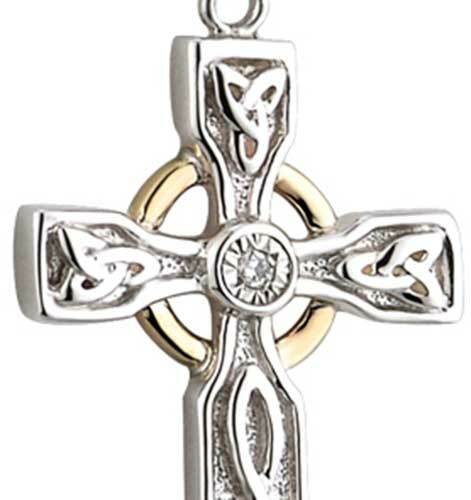 These women's size Celtic cross pendants feature a variety of Celtic knot designs that include engraved or embossed features. 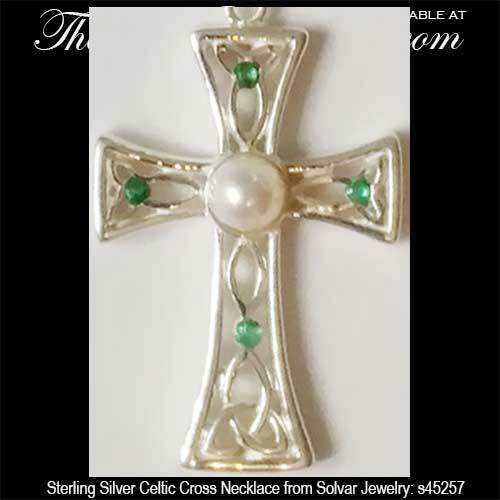 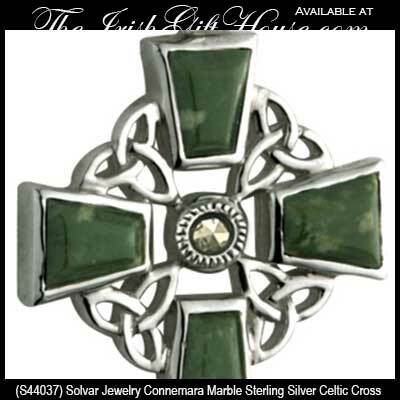 The Irish Gift House also features several Celtic crosses with the Irish Claddagh symbol in the center and those with semi precious stones such as the Irish Connemara marble. 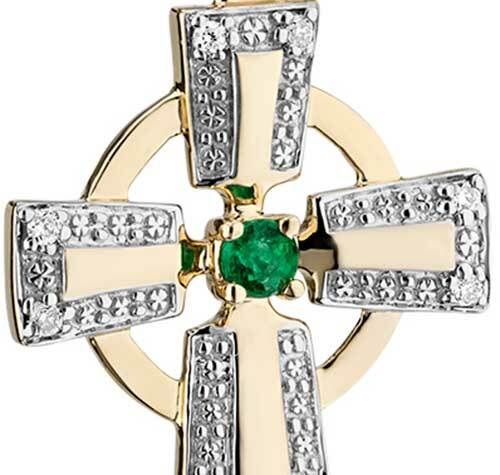 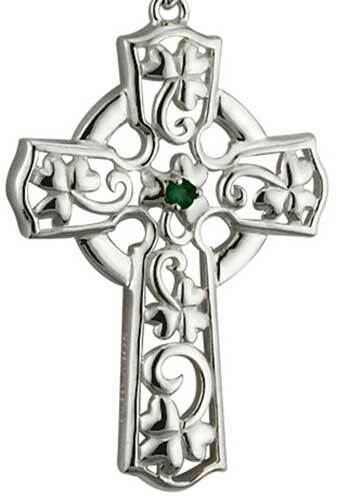 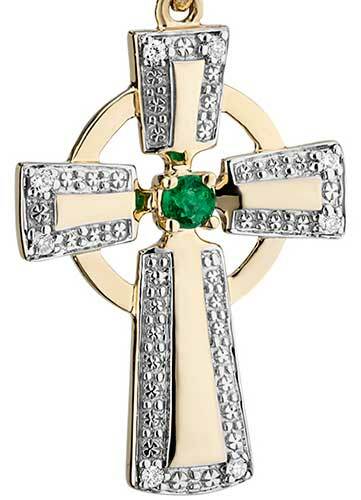 Celtic cross necklace is a sterling silver design that features a center emerald along with accent diamonds and 10K gold. 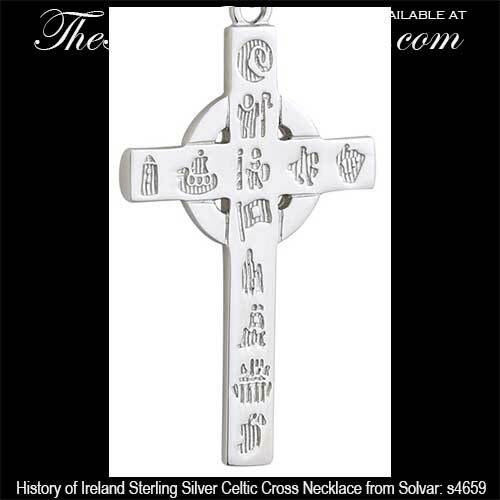 Sterling silver History of Ireland Celtic cross necklace. 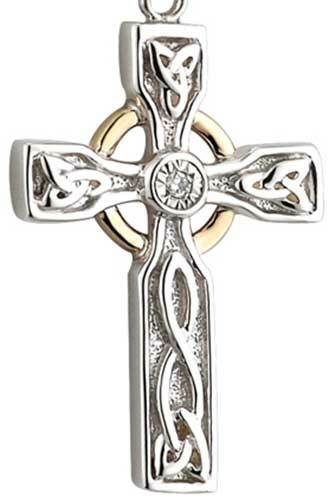 Unisex Celtic cross necklace is suitable for either a man or a woman. 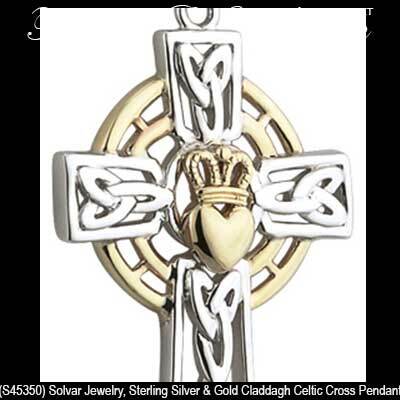 It features sterling silver construction with oxidized accenting along with the Claddagh and embossed knot-work. 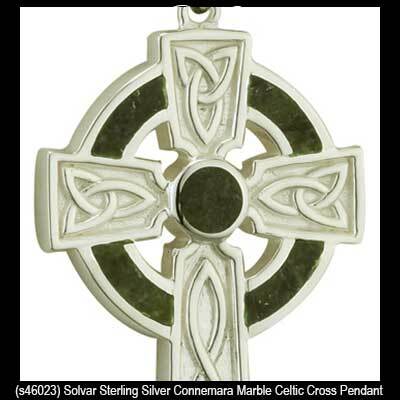 Connemara marble enhanced silver Celtic cross necklace features a Trinity knot at each end. 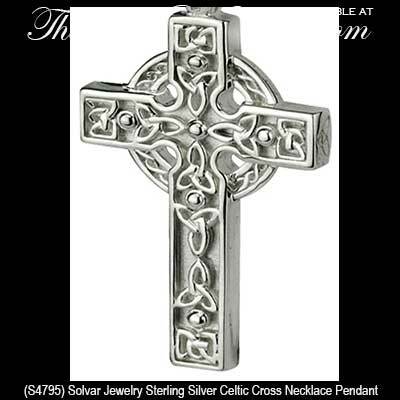 Thank you for viewing our selection of silver Celtic cross necklaces that are sized and styled for women. 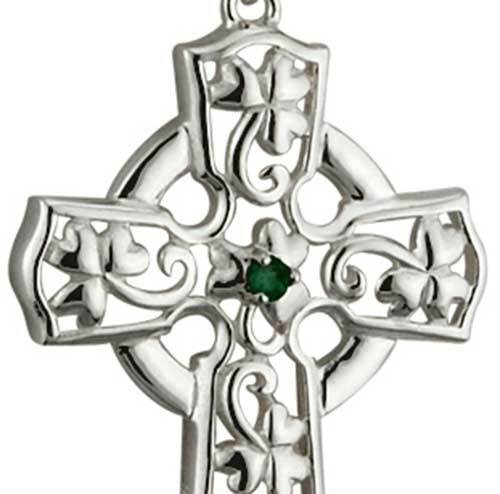 If you are looking for larger pendants we suggest that you browse our assortment of silver Celtic crosses for men. 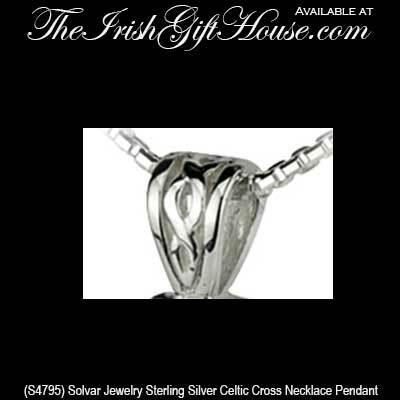 Naturally ladies may also wear any of these larger pendants; we at The Irish Gift House don't mind at all. 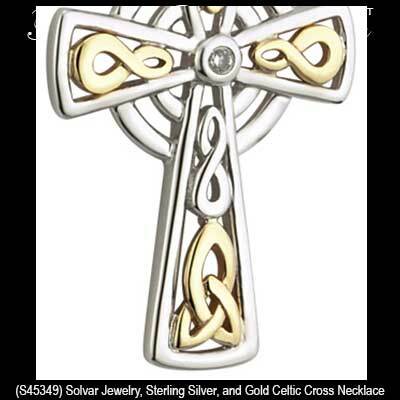 Within the silver tone we also have collections of plated Celtic cross pendants; however, if you are looking for gold Celtic cross necklaces we have those too. 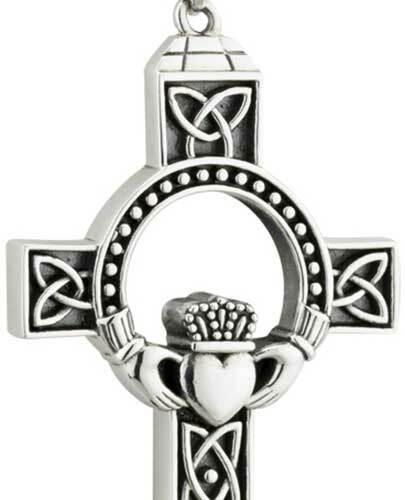 We also have an assortment of Celtic cross charms that are ready for you to either place on your own chain or charm bracelet. 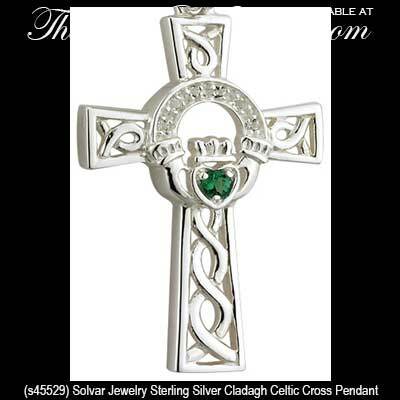 If you are looking for child and baby size silver Celtic cross necklaces, you will find them under the Irish Baby Jewelry heading in our Irish Jewelry section. 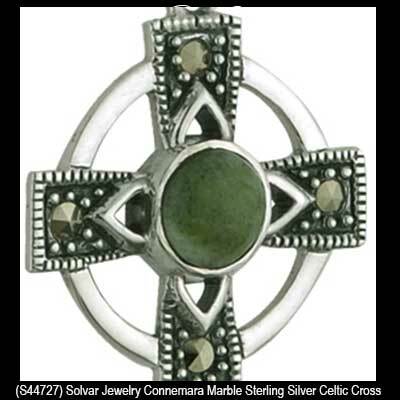 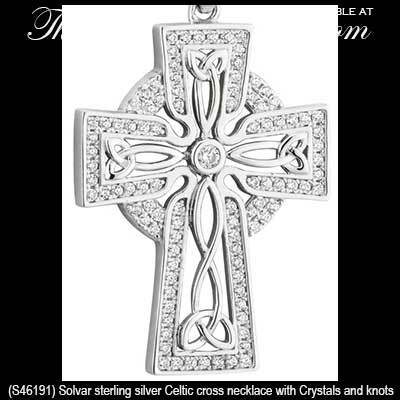 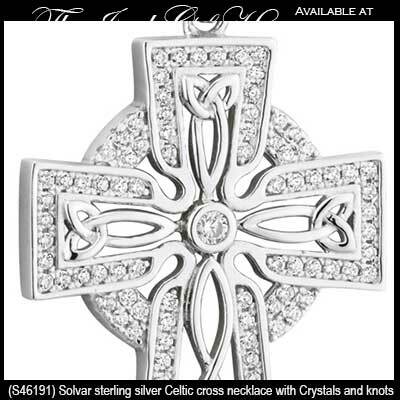 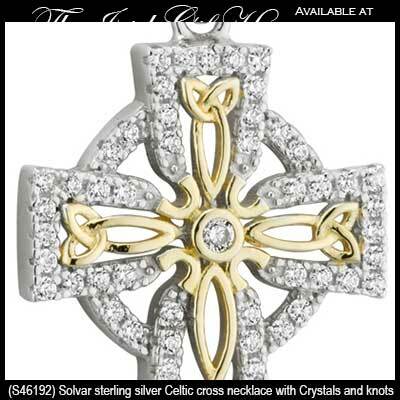 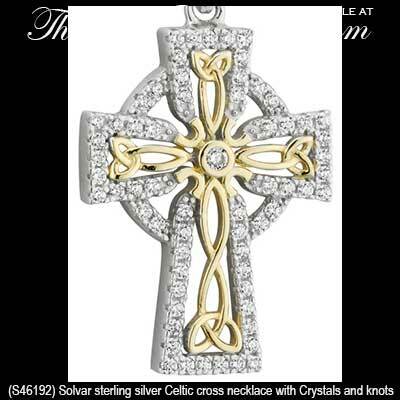 The vast majority of our collection of silver Celtic cross necklaces are made in Ireland by Solvar Jewelry.